Perfect for both task and general lighting, this contemporary design looks great next to an armchair or sofa. From Possini Euro Design, this functional and stylish floor lamp is great for both general and task lighting. With a rectangular, open frame design, this lamp's contemporary look will match the modern decor of your home. A gooseneck light is adjustable and perfect for reading. Overall: 63" high. Base is 12" x 9" x 1 1/2" high. Shade is 18" wide x 11 1/2" deep x 10" high. Weighs 28.6 lbs. 8' brown cord. Standard base socket rated up to 150 watts (bulb not included.) On-off rotary socket switch. Side light rated up to 35 watts; 5 watt GU10 LED bulb included. On-off rotary switch on pole. Bronze finish. Metal construction. Off-white linen shade. 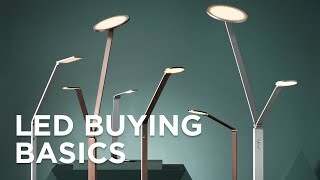 Floor lamp with LED reading light from Possini Euro Design.